Edwin Blackburn was born in Northumberland, England. His work is in private collections throughout the UK, USA and numerous countries worldwide. Edwin’s native Northumbrian coastline gives him great inspiration, but his work and imagination take him much further afield. Equally happy painting present day subject matter or the historic days of sail, paintings that require technical skill with accuracy and attention to detail. During the late 1990’s he extended his local and British interest to include American maritime history, East coast whaling ships, West coast lumber schooners. This resulted in his work being sold via Christie’s Maritime Auction House in New York. August 2016 saw the tall ships visit his home Port of Blyth. Edwin was honoured to be appointed official artist to the Blyth tall Ship Project. 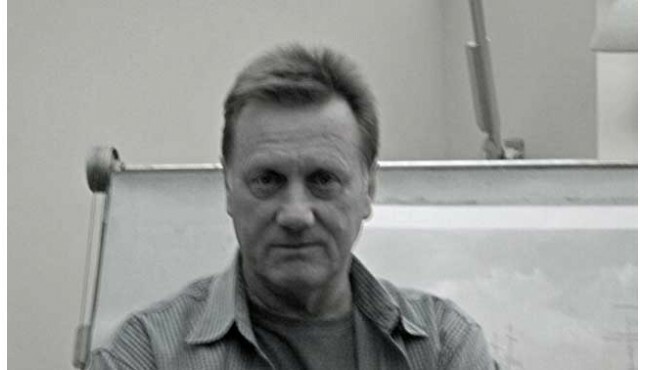 Whether it is picturesque or industrial imagery his work displays an understanding of the maritime genre. Rivers, harbours and estuaries, the sea and coastline together with the vessels that inhabit them. Water, capturing its movement, reflected light and the effect of the ever-changing mood of the weather, the crucial elements of marine painting.